If you order by or before the orders cut off time -Thursday 12 noon- you'll received your order on Sunday between 8am and 9pm, depending on your location. We currently deliver to Gold Coast and Brisbane. Head to our Delivery Areas page to check if we deliver to your postcode, by typing in your postcode or suburb. When's the Cut Off time for deliveries? The order's cut off is by 12 noon on Thursdays. When you order any of our Meal Plans the delivery is FREE!! When you order products from our Menu page, a delivery fee of $8.00 applies. We start delivering on Sunday 8:30am and finish at 9pm. Depending on your suburb the ETA for delivery will change. You'll get a SMS on your mobile when the driver is 5-10min away. You don't need to be home to receive your delivery as our products are delivered in a polystyrene box with ice packs, which can hold a safe temperature for up to eight hours. Note: This recommended timeframe is weather dependent and will decrease in warmer weather. Please ensure you refrigerate your items as soon as possible. If you're home, the delivery driver will ring the bell and wait for you to come up to sign off the delivery. If you aren't home at the time we deliver, you'll get a SMS on your mobile with a link to see two proof-of-drop photos. If you have dogs present at your delivery address, our drivers will leave your order in the safest place possible without entering the premises. Please leave delivery notes with instructions on how to enter the complex (such as a code or buzzer), or if it’s okay to leave your order at the reception or front gate. If you haven’t left any specific instructions, our drivers will leave your order in the safest place possible. Can I pick up my order directly from Performance Eating? Sorry we do not have this option available anymore. - Call us directly on (07)55119144. We will answer calls until 9:30pm on Sundays. What if my order goes missing or stolen? We do our very best to always deliver your order on time and in the safest way. - You'll receive a confirmation e-mail from us right away after you place your order. This e-mail mentions the day and time bracket in which your order will be delivered. - On delivery day, you'll receive two text messages on your mobile. 1) Driver sends first text message with ETA, usually 10-15min prior arrival. 2) If no one is home you'll receive a second text message letting you know that your order has now been dropped and a link for you to click on and see two photos where the esky has been dropped. Once this process is completed we consider the order to be delivered and the job done successfully from our end. If the order goes missing after we have successfully completed the job, we won't take any responsibility for the loss or theft of your items. When do I have to order by to get a delivery? You must order by or before Thursday 12 noon (midday) to get your order delivered on Sunday 8am-9pm. What happens if I missed the cut off for orders?  When you place an order after 12 noon (midday), we will process it for the following delivery day, which is on a Sunday, but NOT for the upcoming delivery day. So you'd miss one order cycle. Example: If today was Thursday 1st of June and your order is placed at 12:01pm onwards, you'll get it delivered NOT on Sunday 4th but on Sunday 11th of June. - Credit card or debit card on our website. - Credit card or debit card via Paypal portal. Because we deliver for FREE (when ordering any of our Meal Plans) or have a very low delivery fee of $8.00 for any other orders, we require a minimum spend of $70.00 to be able to send an order through. Can I repeat my order? Because we know you will love what we do and you'll be willing to order our healthy and delicious food for quite some time, we have created a new Subscription model for orders, 'Set and Forget', that's going to make your life even easier, without the worry of having to remember to place your order before the cut off time!! This new feature is available to choose from a Weekly, Forthrightly or Monthly subscription at checkout. Check out our recurring orders FAQs page for more details. How do I cancel my Set&Forget subscription? It's easy to cancel your subscription at anytime. Simply log in on your account and look for "Subscription History" tab. Click on it and you'll see your "ACTIVE" subscription in green. On the right hand side there's a button "Cancel" you need to click on to cancel your subscription. NOTE FOR MOBILE DEVICES: When canceling your subscription on a mobile phone the process is the same, just make sure that you turn your phone 'horizontally' so that the "Cancel" button shows up on the screen. You can cancel at anytime. To avoid being billed for an unwanted subscription please make sure you cancel it before the day and time the subscription is due to debit your credit card. Our meals have a shelf life of seven days in the fridge. We recommend eating any meals with raw vegetables within the first five days. Our snacks have a longer shelf life. Always check the Use By date before consumption. How do the meals last for a week in fridge? We at Performance Eating source the freshest produce and quality ingredients, always. We seal our meals using a packaging method called "Modified Atmosphere Packaging". Like vacuum sealing, this process removes oxygen from the meals (oxygen is what makes food deteriorate/oxidate as time goes by) and allows the product to stay fresh naturally for as long as possible. We offer fresh meals to ensure the best nutrition and best eating experience. Our meals can be frozen and will last for up to three months safely when frozen below -10 degrees Celsius. Please note: Freezing does affect the quality of most foods and may not result in the best eating experience. We've created a great feature to make it easy for those with food allergies or simply for those who prefer to avoid eating say... garlic, before a date! Look for the 'Filters' feature at the top of the menu to type what you can't or don't like eating and the system will display options WITHOUT this specific ingredient you've typed. To be extra careful, we suggest you always read the ingredient list in full. Do Performance Eating Vegan meals contain 'complete' protein? Yes all of them do! We are concerned about the nutrition value of each meal and for us, having all meals containing 'complete' protein (offering all 9 essential amino acids) is a MUST. All of our meals are made and packed as described on our website. Unfortunately, we are unable to take requests for custom ingredients or meals due to our large volume of production. We like to change things up in our menus as we know you may get bored of having always the same meals. Besides, we like to keep as much as a variety of vegetables and healthy ingredients so that you're sure to get a greater variety of nutrients in your diet. We normally introduce one or two new meals every couple of weeks, so you'll always have something new to try! What's the difference between Large Meals and Mini Meals? Our Large Meals are the biggest serves we have in the menu. The Mini Meals are about 40% smaller in size than the large ones. All elements of the Mini meals are equally 40% smaller. You can warm up your meals in the microwave. Should your meal have any dressing container inside, just make sure to remove it before warming up. Of course you can always warm your meals up in a pan on the stove or in the oven inside a oven proof dish if you don't like to use the microwave. Yes it is. Our meal trays are made out of 100% food grade PP 5) plastic (including the wrapper) and you can dispose them in your recycling bin. At the online checkout, you’ll be asked to enter your payment details – we accept Visa & Master debit/credit cards, as well as PayPal. I've seen a discount code on Newsletter, why can't I use it? We limit the discounts offered on our weekly newsletters to usage at the time of ordering meals. The promo discounts start right when we send out the newsletter, and only apply to those who enter the discount code on the website while it's still active.